Linux embedded is probably the most popular OS, especially in SOHO equipment like routers, cameras, smart plugs, alarms, bulbs, home automation, and even wireless rifles. Based on several examples, you will learn about the most common flaws (auth bypass, command injection, path traversal, backdoor services…). We will open a wireless doorlock remotely, hack cameras and take control over other devices. You will also interact with representative specimens which took part in recent DDoS events. One of the most sought after IoT technologies. Learn how it works, about risks and possible attacks. Using among others new BLE MITM proxy tool developed by the author, we will hack various devices: 5 different smart locks, mobile Point of Sale, authentication token, beacons, anti-thief protection and others. Learn how to take control over the most common home automation system: EIB/KNX. Following the introduction on the system basics, we will hack the provided demo installation, abusing common misconfiguration weaknesses – in a similar way a luxury hotel in China was hacked a few years back. Do you want to know more? We asked Slawomir a few more questions about his workshop. The training consists of several unique cutting-edge topics. Focused on practical exercises we will hack multiple real devices. All participants will receive a Raspberry Pi and 2 BT4 dongles – A beginner’s hardware lab for BLE. It will be possible to further practice BLE hacking at home, with a specially designed Bluetooth Smart HackmeLock, a vulnerable hardware lock, software- simulated, consisting of a mobile application. Regardless if you are a beginner or a skilled pentester, you will learn something new and have a good time. I was always interested in taking control over surrounding devices. I got my Msc degree in Automatics and Robotics, and for a while I designed secure Linux embedded appliances for national agencies. That is why current vendors’ irresponsibility and insecurity level of most routers, cameras, home automation etc. constantly boggles me. I understand the market demands features produced at low cost, but I believe it is possible to integrate security into the development process. The world won’t change with a snap of one’s fingers, for now we will have to deal with what we have. So I decided to share my collection of hillariously vulnerable devices – the ease of exploitation should be an eye-opener – along with a few -not always straightforward – hacks on how to patch them on your own. The “initial spark” that led me to more comprehensive Bluetooth Smart research was a local “hacking competition”: the goal was to steal a car protected by an BLE unlocking device. I pointed out several vulnerabilities in the mechanism, which allow you to take full control over it. For that I designed novel attack scenarios and tools, which I presented this year at BlackHat USA (more details: www.gattack.io). And KNX home automation – I created my own super-smart home installation. Well, in the beginning it was far from perfect, especially for my non-smartphone wife, who could not switch the light on without my help. But I got to know the systems inside-out (including its Achilles’ heel), and recently also organized an online KNX hacking challenge. I think a quick scroll through the recent headlines will do as an sufficient answer. Of course the media often overestimate the real risk, but you just can’t ignore the fact anymore that the devices are increasingly surrounding us and are often used as a weapon against us. Did I mention the free Raspberry and other goodies already? A prediction about the future – What do you think will be the next innovations or future downfalls when it comes to particularly your field of expertise / the topic of your workshop? They rapidly grow in numbers, processing power and network bandwidth. Machines control more and more of our life. No doubt, they will strike again. Next time you better be ready. What can you do with just BT4 USB dongle? A glimpse at a source code – why the vulnerabilities appear? Reversing binary protocol and hijacking communication of mobile application controlling HVAC system. – Basic pentesting and scripting skills – Kali Linux, Burp proxy, nmap, mobile app analysis/decompilation, bash, python, node.js etc. – will be helpful, but are not essential. 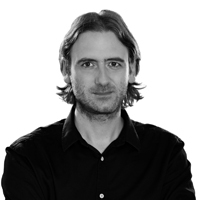 Slawomir Jasek is an IT security consultant with over 10 years of experience. He participated in many assessments of systems’ and applications’ security for leading financial companies and public institutions, including a few dozen e-banking systems. Also, he developed secure embedded systems certified for national agencies. Slawomir has an MSc in automation&robotics and loves to hack home automation and industrial systems. Beside current research (BLE, HCE), he focuses on consulting and the designing of secure solutions for various software and hardware projects, protection during all phases – starting from a scratch. This entry was posted on October 31, 2016 at 01:40. You can follow any responses to this entry through the RSS 2.0 feed. Both comments and pings are currently closed. 6 Responses to "DeepSec2016 Workshop: IoT Hacking: Linux Embedded, Bluetooth Smart, KNX Home Automation – Slawomir Jasek"